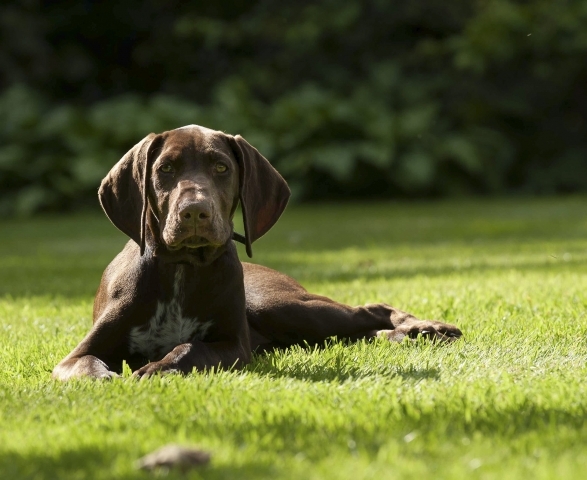 The German Shorthaired Pointer is a medium-sized dog with a square profile, deep chest, and sometimes a docked tail, although in some countries docking is illegal. Typically brown with white mottling, they can also have black marks, solid black with a white blaze, or black and white. Any yellow coloring, including golden or “cat eyes”, is a fault in breeding. 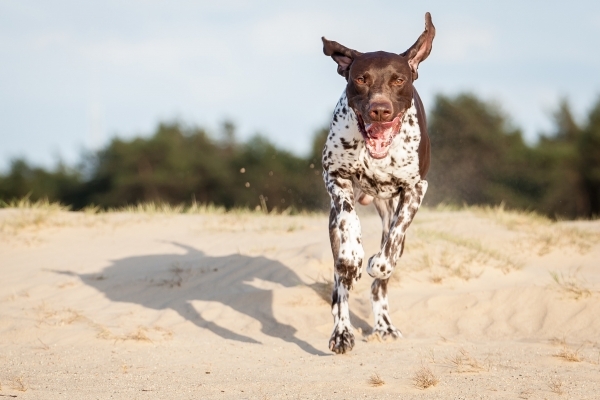 The German Shorthaired Pointer is a very active dog and bred to family life. They shouldn’t be left alone for long periods so aren’t suitable for situations where the family is usually absent all day. 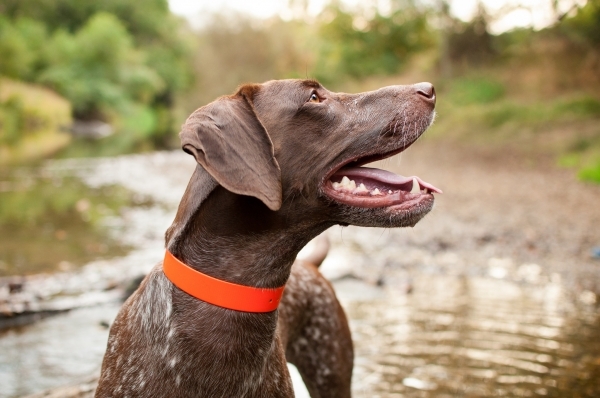 German Shorthaired Pointers are highly trainable, loyal, and intelligent. They require high levels of activity. Daily off-leash runs are preferable. They can easily escape over four-foot fences, or even higher, so should be thoroughly exercised to eliminate the escape response. 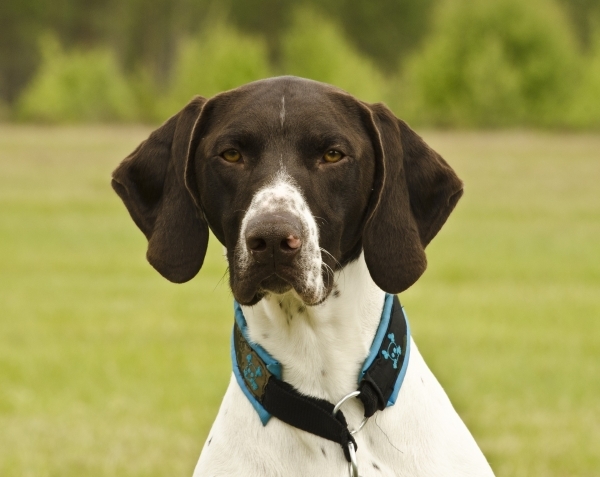 Bored German Shorthaired Pointers can be highly destructive. Since their activity requirement is very high and on a leash, activity is often insufficient, this is a breed best owned in exurban or rural areas on large properties with families that are active outdoors. 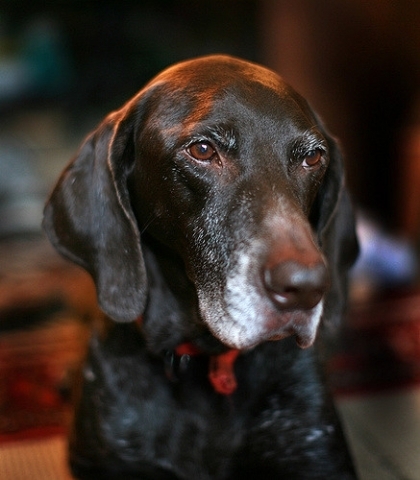 German Shorthaired Pointers are good with children but when young can be overly boisterous. This is not a pet to have in an apartment or small house or to leave alone with small children. Being a hunter, they must be trained to differentiate other, smaller family pets from true prey. Typically healthy they have few known issues and require little grooming. Mouth cancers, hip dysplasia, skin issues, epilepsy, and genetic eye diseases are the most frequent health issues. 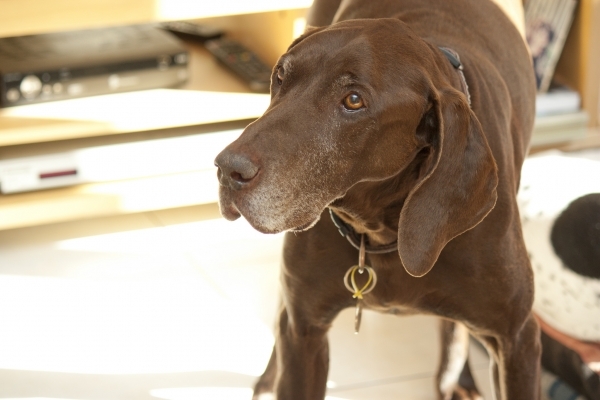 Some can also suffer from bloat, as is common with deep-chested dogs.